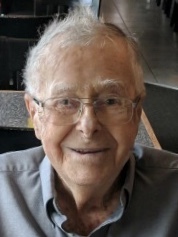 Robert Anton Werth, 96, died peacefully on Saturday, March 23, 2019, at Agrace Hospice in Madison, Wi. He was born on Rockwell Street in Chicago to Anton “Tony” Werth and Carrie Hooper Werth. He grew up during the Great Depression in the Edgebrook Neighborhood in northwest Chicago for most of his formative years, learning the value of thrift and the difference between want and need. He graduated from Schurz High School, then attended Wright Junior College and the University of Illinois, before being drafted into the Army. He served several years in Alaska during World War II, before returning to Chicago at the war’s end. He then was accepted into Northwestern University Law School, graduating in two years. He met Elaine Lauridsen at a USO dance at the Aragon Ballroom in Chicago. They married in 1949. He started his career as a tax attorney with the Chicago Title Co. and later worked for Sears Roebuck, eventually working in Sears Tower, the tallest building in the world at the time. While serving his second military stint during the Korean War, this time with the Air Force at Scott Airforce Base near St. Louis, Bob and Elaine’s first child, Laurie, was born. A few years later came sons Brian and Kerry. The family lived in the Chicago suburbs of Norridge and Deerfield until Bob retired. Bob and Elaine relocated to Lincolnshire, Ill., where Elaine died in 2015. They were married for 66 years. Bob was an accomplished tennis player and an avid golfer, shooting his age several times in his later years. He and Elaine traveled the world and spent many winters on the Gulf Coast of Florida during their active retirement years. He was a loving husband, supportive and playful father, and he was a generous and caring grandfather. He was vigorous and cantankerous his entire life. 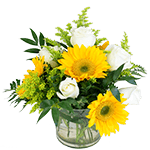 He is survived by his daughter, Laurie, and son, Brian, as well as four grandchildren, Alison, Rebecca, Nick and Julia, and five great-grandchildren, Jerry, Linnea, Emma, Ophelia and James. He was preceded in death by his wife, Elaine, and son, Kerry. There will be a private, family celebration of his life in Madison and his remains will be placed next to Elaine’s at First Presbyterian Church in Deerfield, Illinois.